TAB-ARCHIVE A-Z Over 125,000 Tabs! Request a tab to be featured here. The Kooks are an indie band originating from Brighton, England. Other similar artists include The Rakes, Razorlight and Kaiser Chiefs. The Kooks are also known as "The Raisin Boys" in their home town of Brighton. 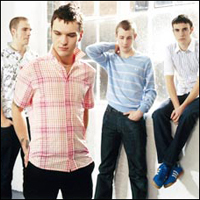 The song Vindacated, written by Dashboard Confessionals is a very emotional song. Vindacated is also featured on the new SpiderMan 2 Album. The video is even based on the movie, talk about drama. This song lacks bass.